Press the Esc key to exit to Normal mode after you are done inserting or replacing text. List of VI Editor Commands..
i—Typed text appears before current character. Shift+a—Typed text appears at the end of currenta line. Shift+o—Open a new line above current line to begin typing. Shift+s—Erase current line and enter new text. Shift+c—Erase from cursor to end of line and enter new text. Shift+r—Overwrite as you type from current character going forward. The following list contains keys you type to delete or paste text. d?—Replace ? with l, w, $, or d to cut the current letter, word, or end of line from cursor or entire line. y?—Replace ? with l, w, or $ to copy (yank) the current letter, word, or end of line from cursor. p—Pastes cut or yanked text after cursor. Shift+x—Delete text to left of cursor. Shift+d—Cut from cursor to end of line. Shift+p—Pastes cut or yanked text before cursor. Your work will be saved. 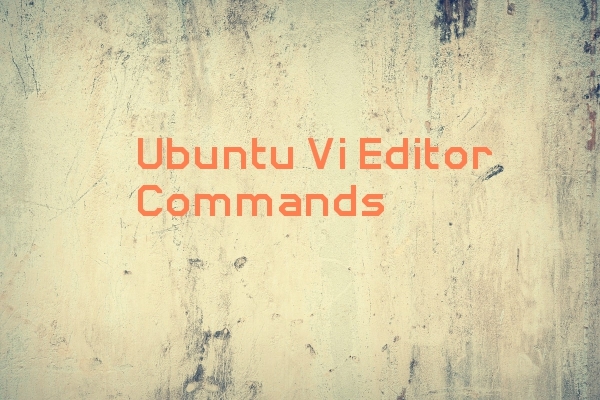 The above commands useful to work with VI editor. You can complete your task quickly and saves lot of time.